Silver Spring, Md. (Thursday, September 20, 2018)– The National FFA Organization,Tractor Supply Company,and Discovery Education– the leading provider of digital content and professional development for K-12 classrooms – are teaming up to host a new virtual field trip entitled Beyond the Sale: Careers That Deliverat 1:00 p.m. ET/10:00 a.m. PT on Tuesday, Sept. 25, 2018.During the immersive virtual experience, students will learn more about diverse career opportunities within the industry of agriculture and meet Tractor Supply Company employees. Beyond the Sale: Careers that Deliverwill transport classrooms beyond the walls of their schools to learn how product development, marketing, distribution and merchandising play a role in delivering wholesale products every day. Tractor Supply Company has grown to become the largest rural lifestyle retail store chain in the United States. “At Tractor Supply, we believe that providing opportunities to students through FFA’s agriculture education program is important, as it provides insights to the vast array of opportunities across a broad range of agriculture career pathways. Tractor Supply is proud to be an ardent supporter of the FFA and Discovery Education, as they provide students with the future skills they need to carry themselves into the community and workplace,” said Christi Korzekwa, senior vice president of marketing at Tractor Supply. The Beyond the Sale: Careers that DeliverVirtual Field Trip will open up access to students’ understanding the role of business firms while encouraging them to analyze various types of market structures in our national economy. During the experience, students will be encouraged to analyze how competition among many sellers lowers costs and prices, and prompts retailers to produce more. The virtual event will be hosted from Tractor Supply Company’s Merchandising Innovation Center (MIC), and will showcase aspects of Tractor Supply Companycareer paths that aid in bringing new products to market through an innovative and calculated production pipeline that maximizes business scale. Educators, parents, student advocates and members of the community may register for the Beyond the Sale: Careers That DeliverVirtual Field Trip at agexplorer.com/virtual-field-trip. According to the U.S. Bureau of Labor Statistics, roughly 7-in-10 production jobs are sourced from the manufacturing industry sector. The Careers That Deliverexperience will provide a companion activity that engages students and will illustrate a range of highly-skilled careers involved in advanced manufacturing. The educational immersion will also underscore how advanced manufacturing utilizes product development, distribution, marketing and e-commerce processes to expand reach and sales. To aid educators and participants in integrating this virtual event into classroom instruction, the National FFA Organization, Tractor Supply Companyand Discovery Education have made educational standards-aligned resources Virtual Field Trip teaching resources available for classroom use online. Educators and classrooms are also invited to deepen their experience by joining the conversation and asking questions of participants LIVEon Twitter @NationalFFA, @DiscoveryEdand using the hashtag #AgExplorerVFT. Following the premiere, the Virtual Field Trip will be made available on-demand through AgExplorer.com. Launched in 2016, AgExplorer.comoffers teachers and students a deep database of career profiles that help students connect what they are learning in school to future careers. Career pathways highlighted, include: power, structural and technical systems; biotechnology systems; environmental service systems; food products and processing systems; animal systems; natural resources systems; plant systems and agricultural education. In addition, AgExplorer.com includes more than 250 career descriptions, education requirements, average salary, links to a college and university database, and more, all designed to help students. To access the site’s free resources, visit here. The Beyond the Sale: Careers That DeliverVirtual Field Trip is also available through Discovery Education Streaming Plus. For more information about Discovery Education’s digital content and professional development services, visit DiscoveryEducation.com. Stay connected with Discovery Education on Facebook, Twitter, Instagramand Pinterest@DiscoveryEd. The National FFA Organization is a national youth organization of 669,989 student members as part of 8,630 local FFA chapters in all 50 states, Puerto Rico and the U.S. Virgin Islands. The organization is supported by 344,239 alumni members in 2,051 local FFA Alumni chapters throughout the U.S. The FFA mission is to make a positive difference in the lives of students by developing their potential for premier leadership, personal growth and career success through agricultural education. The National FFA Organization operates under a federal charter granted by the 81st United States Congress and it is an integral part of public instruction in agriculture. The U.S. Department of Education provides leadership and helps set direction for FFA as a service to state and local agricultural education programs. For more, visit the National FFA Organization online at FFA.organd on Facebook, Twitter and the official National FFA Organization blog. Tractor Supply Company (NASDAQ: TSCO) is in its 80th year of operation and, since being founded in 1938, has grown to become the largest rural lifestyle retail store chain in the United States. 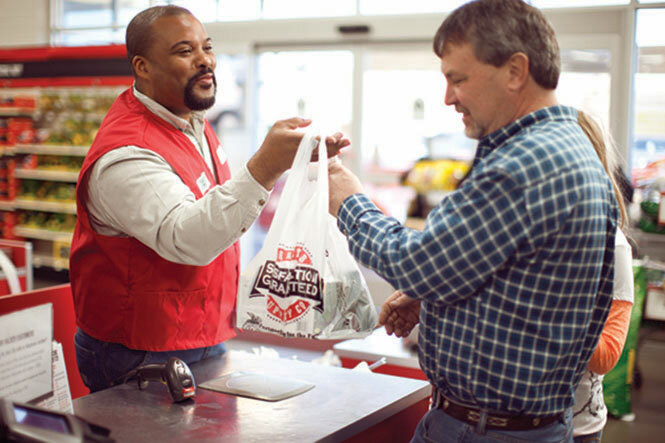 With more than 28,000 team members, over 1,725 stores in 49 states and an e-commerce website, Tractor Supply is passionate about serving its unique niche, as a one-stop shop for recreational farmers, ranchers and all those who enjoy living the rural lifestyle. Tractor Supply offers an extensive mix of products necessary to care for home, land, pets and animals with a focus on product localization, exclusive brands and legendary customer service that addresses the needs of the Out Here lifestyle. The Company leverages its physical store assets with digital capabilities to offer customers the convenience of purchasing products they need anytime, anywhere and any way they choose at the everyday prices they deserve. At June 30, 2018, the Company operated 1,725 Tractor Supply stores in 49 states and an e-commerce website at Tractorsupply.com.